Windsor-Lublin business relations began in 1994, when Joe Ouellette, the owner of the Windsor firm Acrolab Ltd., which manufactures heating and cooling transfer systems, opened a manufacturing plant in Lublin, Poland. He was very active, together with our Association, in the creation and development of the present partnership between Windsor and Lublin. On February 26, 1999, the Polish Community of Windsor successfully petitioned the City of Windsor for a twinning agreement between Windsor and Lublin, Poland. 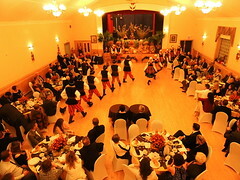 An official Lublin delegation, led by the Mayor of Lublin, was invited to Windsor. The Windsor-Lublin Partnership Agreement was signed in Windsor by Andrzej Pruszkowski, the Mayor of Lublin, Helena Pietraszkiewicz, the Chair of the Lublin Council, Mike Hurst, the Mayor of Windsor, and June Cox, the Chair of the City of Windsor International Relations Committee. 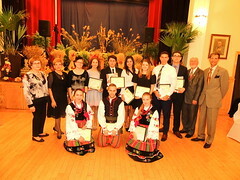 The Lublin delegation visited Polish Community locations in Windsor, such as Polonia Park, the Polish Language School, and the Holy Trinity Church, as well as St. Clair College. 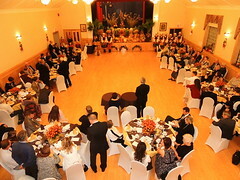 The Polish Community Luncheon to honor the Lublin delegation was held at Willistead Manor, in Windsor. An official Windsor delegation, led by Dave Cassivi, the Deputy Mayor of Windsor, was invited to Lublin. The Windsor-Lublin Partnership Agreement, Part 2, was signed in Lublin by Dave Cassivi, June Cox, Andrzej Pruszkowski and Helena Pietraszkiewicz. Members of our organization were in the Windsor delegation. The President of St. Clair College, Dr. John Strasser, and the Vice President, Innovation and Business Development, St. Clair College, Michael Vourakes, visited Lublin to explore the possibility of establishing partnership programs between St. Clair College, Windsor, and the Lublin Business School. The Reverend Professor Ted Zasepa, the President of the Lublin Business School, was invited to Windsor. He visited the University of Windsor and discussed issues of mutual interest with representatives of the University’s Odette School of Business and Windsor International. Professor Zasepa and Michael Vourakes, St. Clair College, signed a Memorandum of Understanding between the Lublin Business School and St. Clair College. Polish Week in Windsor 2002 included more than twenty events. 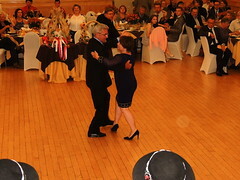 The Polish newspaper Zwiazkowiec in Toronto named it “the best Polish event of 2002 in Canada”. Lublin was in our thoughts during Polish Week. For example, Marcin Rusiniak, from the MBA program of the Lublin Business School, was in Windsor to complete his Canadian internship program, over a period of several weeks. 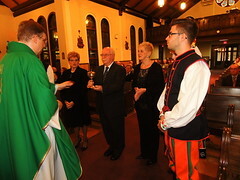 Andrzej Pruszkowski, the Mayor of Lublin, was invited to Windsor and Toronto. He was the keynote speaker at the 9th Polish Canadian Business and Professional Society Dinner, on November 14, 2003, at the Caboto Hall in Windsor. He also participated in a Polish-Ukrainian forum with Dr. Jacek Junosza Kisielewski, the Consul General of Poland, and Dr. Ihor Lossovskyi, the Consul General of Ukraine, at the Consulate General of Poland in Toronto. Trade Team Windsor 2004, led by Dave Cassivi, the Deputy Mayor of Windsor, was invited to Lublin to participate in Canadian Trade Day and the Eastern Partenariat 2004. Our Association was part of this delegation. Polish Week in Windsor 2004 consisted of over a dozen events. Lublin also had an important part to play. For example, Lublin Street was officially named in Windsor. 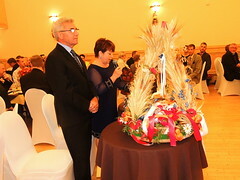 Lublin celebrated the 25th Anniversary of the “Solidarity” movement, which began in the Lublin area. Jerry Barycki, a member of City of Windsor International Relations Committee, was invited to Lublin to represent Windsor and the Canadian Polish Congress, Windsor-Chatham Branch. The Lublin Trade Mission 2005, including Ryszard Pasikowski, the Deputy Mayor of Lublin, visited Windsor, Toronto, and Erie, in the USA. 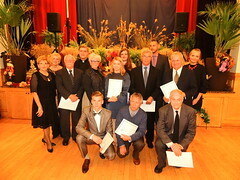 They also took part in the 11th Polish Canadian Business and Professional Society Dinner, held at the Caboto Hall, Windsor, on October 14, 2005. A Windsor delegation visited Lublin, led by Joe Comartin, the Member of Parliament for Windsor-Tecumseh. 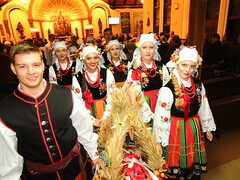 Polish Week in Windsor 2006 consisted of more than fifteen events. Lublin also had a role in the activities. Joe Comartin, MP, Windsor-Tecumseh, gave a presentation about his visit to Lublin. 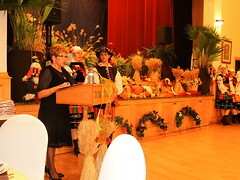 A Lublin delegation, led by Adam Wasilewski, the Mayor of Lublin, was invited to celebrate one century of the Polish Community in Windsor, 1908-2008, during Polish Week in Windsor 2008. Updated on June 1, 2008.